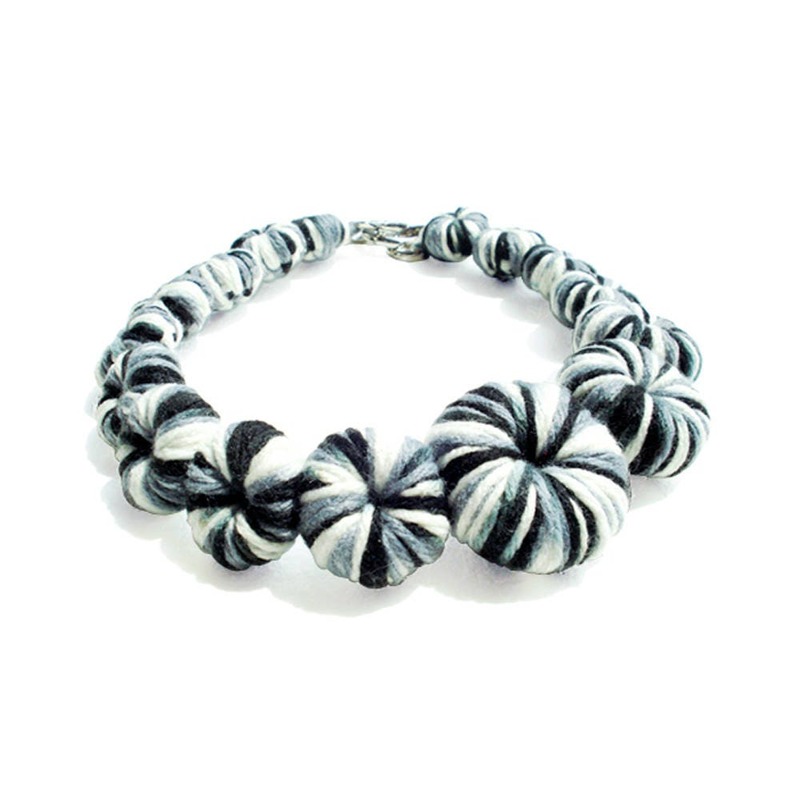 Chunky yet weightless hand-crocheted necklace in variegated yarn with personality. 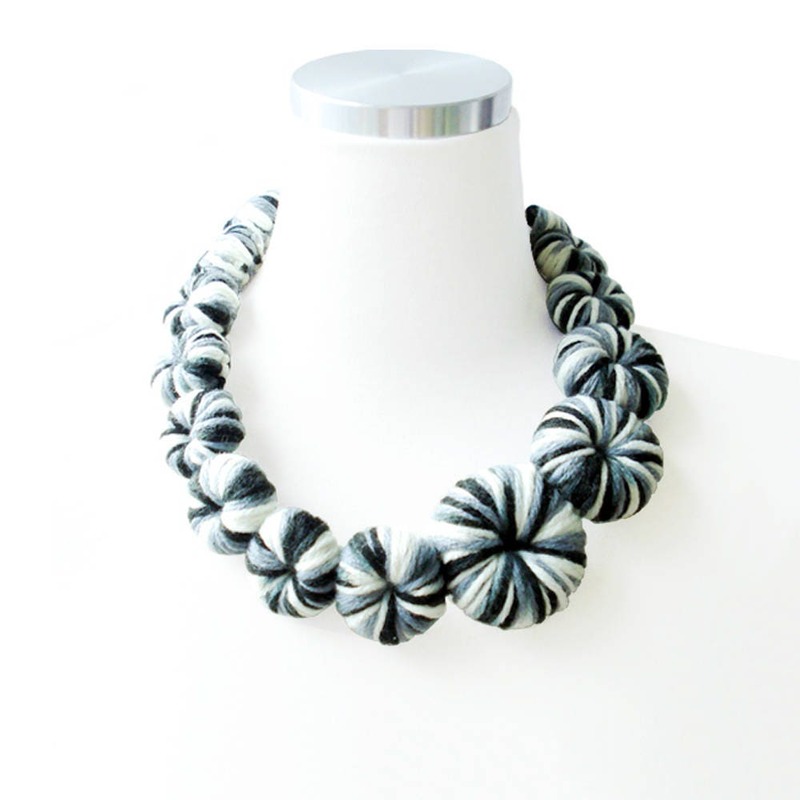 Guaranteed to turn heads whenever you wear it! 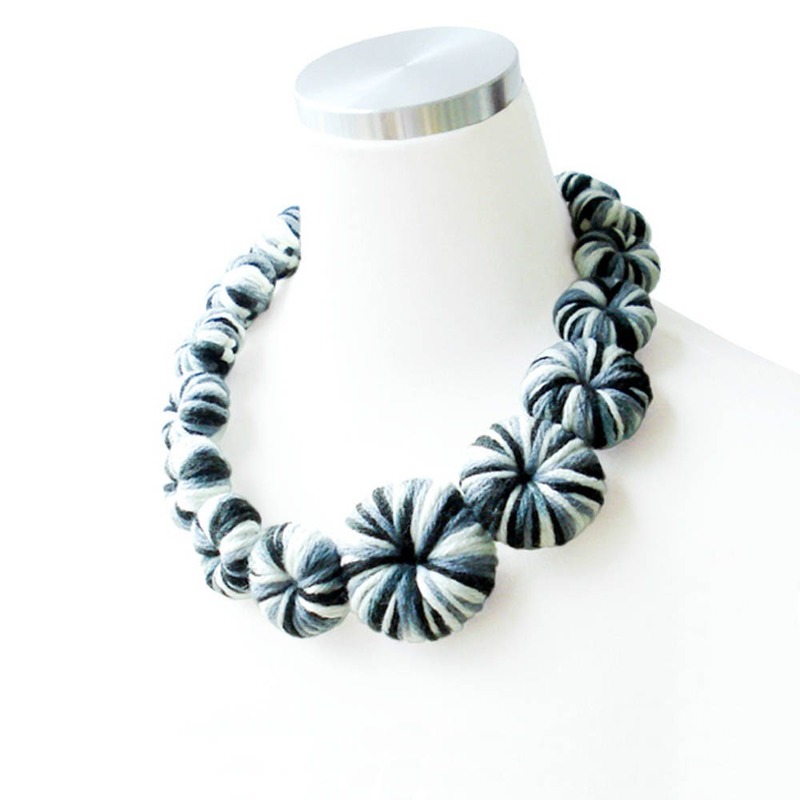 This necklace is made with densely hand-crocheted circles in different sizes. 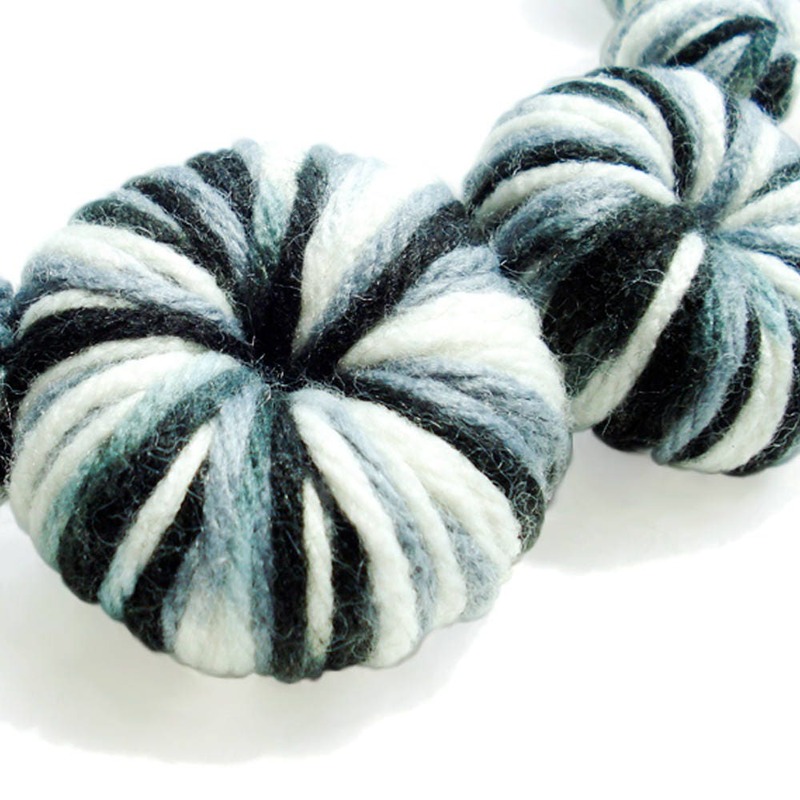 White to black color variegated yarn with hint of blue. 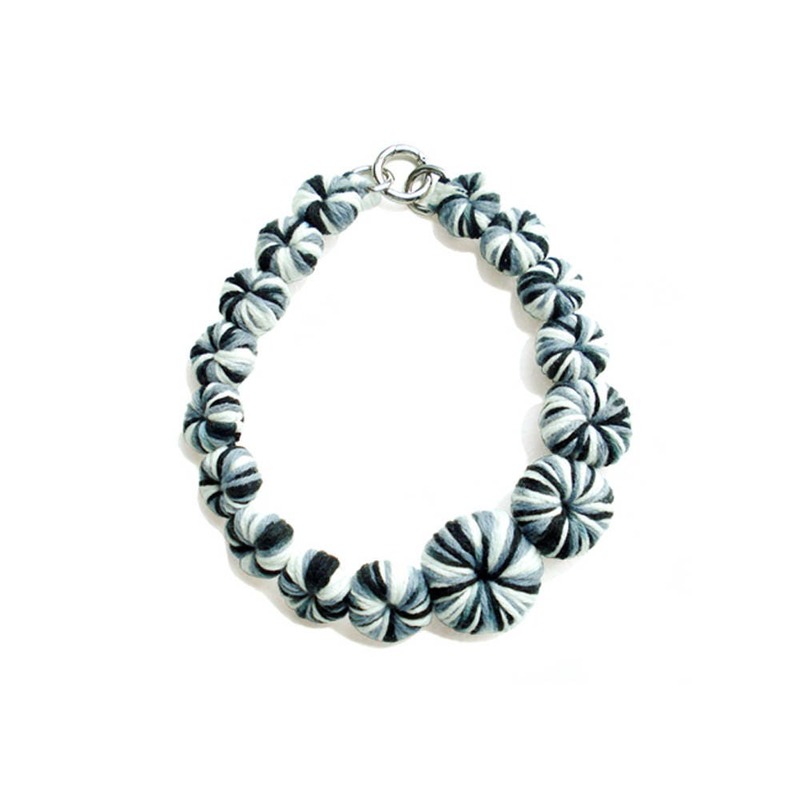 Complete with metal D-ring and Open-ring closure.